It is estimated that every year, nearly 98,000 people die from being prescribed the wrong drug, from taking too much of a prescribed drug, from complications that can result while in a hospital, and from general mistakes. As an increasing number of Americans turn to medication to help improve their quality of life, it has never been more important to ensure you understand everything you are taking. The better informed you are as a patient, the more secure you can be in the knowledge that what you are taking is right for your needs. With that in mind, let’s take a moment to look at Xarelto. First, we will look at what the drug is, including what it does a well as its side effects. After that, we will review how it can help individuals with heart problems, including atrial fibrillation. The following is designed to leave you more knowledgeable and better prepared for when you go into the doctor’s office. Xarelto is a blood thinner, also known as an anticoagulant. Xarelto is the name given to the brand drug, while rivaroxaban is given to the off-brand derivatives of the drug. The primary use of Xarelto is in the preventative treatment, in stopping a type of blot clot called deep vein thrombosis. With DVT, clotting can happen in the lungs, creating a wide range of symptoms. What Xarelto helps to do is thin the blood to reduce the chances of blood clotting, dramatically improving a person’s health by reducing their chances for a stroke. In addition to being used for this reason, people are sometimes given a blood thinner after surgery, as the chances of blood clots may increase as a result. Finally, Xarelto is sometimes used for those who have a heart rhythm disorder. It also helps to lower the risk of a stroke created by blood clots by thinning out the blood. Regardless of its usage, Xarelto and rivaroxaban are proven to provide excellent results when used, making them an industry standard for clot prevention in the United States. While Xarelto can provide a range of benefits, there are also some things that you should be watching out for when you take it. The first thing to consider is whether or not you have an artificial heart valve. If you do, then it is highly recommended that you do not take Xarelto, as it may lead to serious complications. In addition, you should not take Xarelto if you have a history of active or uncontrolled bleeding, as Xarelto will only make it worse. Also, be aware that Xarelto can cause a serious blood clot if you have recently received a spinal tap. The location of the blood clot may occur in your spine as a result, and Xarelto is not recommended if you have had this procedure. Individuals taking Xarelto with other medications should also be very careful. In particular, Xarelto should not be taken if you are taking Aleve, Motrin, Advil, or other NSAID medications. In a similar vein, Xarelto should not be taken if you are currently on other blood thinners as well. Xarelto leads to an increased chance of bleeding, therefore, taking it along with other blood thinners might cause intestinal bleeding, stomach bleeding, hemorrhagic stroke, and uncontrolled high blood pressure. As always, seek the approval of a doctor prior to starting this medication. How Does Xarelto Dosing Help With Nonvalvular Atrial Fibrillation? Xarelto helps individuals with atrial fibrillation in the same way that it helps individuals with deep vein thrombosis. By thinning the blood, the chance of clots are dramatically reduced and the likelihood of cardiac problems decrease. While Xarelto does not cure atrial fibrillation, it does reduce the effects of atrial fibrillation can have on the body. With atrial fibrillation comes an irregular heart rhythm. This irregular rhythm can create problems in regards to blood clotting that should be taken very seriously. As a result, those with a history of atrial fibrillation are often prescribed Xarelto or a derivative to help them reduce the chance of getting a stroke. As with its uses for deep vein thrombosis, there are some things you should consider when taking it. These topics of consideration include the frequency in which you take it as well as some of the side effects. How Often Should I Take Xarelto For Atrial Fibrillation? It is recommended that you take Xarelto 20 milligrams in tablet form with your evening meal. This amount and the frequency in which you take it might change with your particular medical history. As a result, listen to your doctor and follow their recommendations. Remember, the greatest results occur when you take it continuously. Missing pills may increase your risks of blood clots. If you miss a dose, it is generally recommended that you take the next one as soon as you remember. It is normally recommended that you get your prescription refilled before you run out of the medication completely. If you happen to overdose, then immediately seek medical attention or call the poison helpline. With an overdose, you may experience excessive bleeding, putting your life at risk. Are There Any Warning Signs That I Should Contact My Doctor About? When taking Xarelto for atrial fibrillation, there are several warning signs that you will want to notify your doctor about. Like others on an anticoagulant drugs list, know that easy bruising and bleeding are sometimes the most common and both suggest that your blood is too thin. Excessive nosebleeds are what a lot of people experience. In addition, if you have had any recent needles, then any kind of excessive swelling or drainage from the pin prick should be brought to the attention of your doctor. Finally, common side effects that people experience with Xarelto that may not require a doctor’s visit include pain in arms and legs, itching, and muscle pain. If you are ever in doubt, contact your primary care physician and have it checked out. With any medication, it is always better to be safe then to be sorry. Xarelto helps to provide a peace of mind that can be difficult to come by when a person has deep vein thrombosis, suffers from atrial fibrillation, or has a history of strokes. While these things may seem overwhelming, Xarelto helps to reduce the risk of additional strokes, providing a sense of normalcy in a person’s life. Despite the potential for side effects, the end result is that any person who needs blood thinners like Xarelto will be far better on them then taking their chances off of them. Where Can I Go To Get Xarelto? Xarelto requires a doctor’s approval before you can use it. Typically, your primary care physician will have enough knowledge in the field to provide you with the prescription for your needs. In addition to your doctor, you can consider a specialized anticoagulation clinic if one is in your area. They will have special knowledge about blood thinners and be able to provide the highest degree of care. That being said, your standard doctor is more than qualified to provide the care you need and deserve. Xarelto is given only when certain other conditions are met. These conditions will have to occur prior to you getting this medication as Xarelto is designed to lessen the negative effects of these conditions. Without something that necessitates blood thinners, you should not be on Xarelto unless specifically put on it by your doctor for a specific reason. Is Xarelto Right For Me? Ultimately, this is a question that can only be answered by you and your doctor. Every year, countless individuals find themselves right where you are now, deciding on whether or not Xarelto dosing can provide a greater degree of freedom and living when alive. 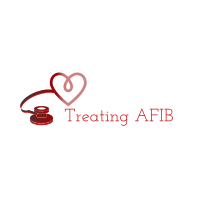 When dealing with atrial fibrillation, there are a lot of things that can be very worrying. In addition, trying to grasp what is happening can be overwhelming to say the least. With this in mind, take a moment to collect your thoughts before deciding and review the purpose of this drug and what service it will provide for you. Working with your doctor and examining your medical history, the two of you will be able to figure out whether or not Xarelto is right for you. In addition to walking you through how to take the medication, your doctor will help make you aware of warning signs to better prepare you for what might happen. Until then, continue reading about Xarelto and be as knowledgeable as possible the next time you step into the doctor’s office. While tens of thousands of individuals die due to mistakes in the medical profession, it doesn’t have to happen to you. Instead of just agreeing to what doctor’s say, take the time to research the drugs yourself and become more knowledgeable in what they will do to your body. Your life is definitely worth it.